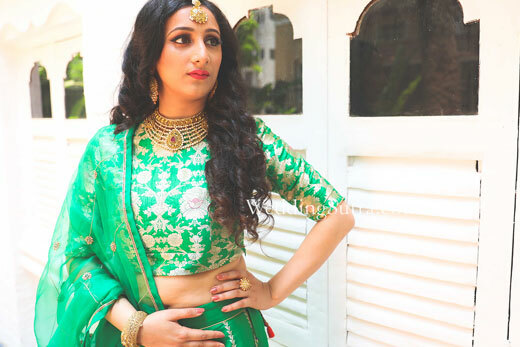 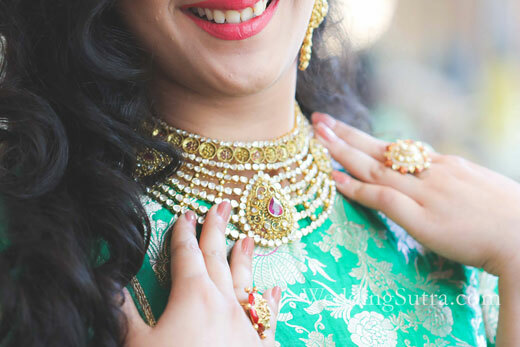 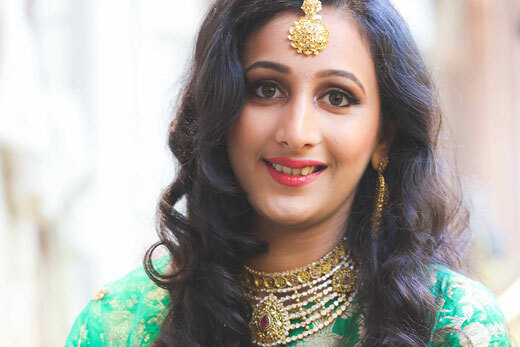 Vibrant green brocades formed the perfect backdrop for the handcrafted Azva jewellery to shine as it swathed our bride to be, Shweta in opulence fit for royalty. 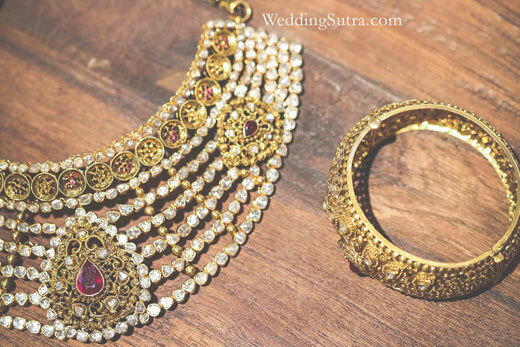 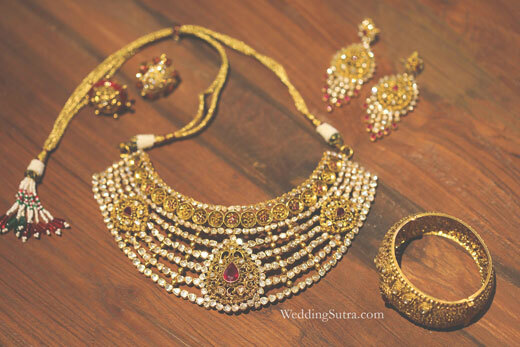 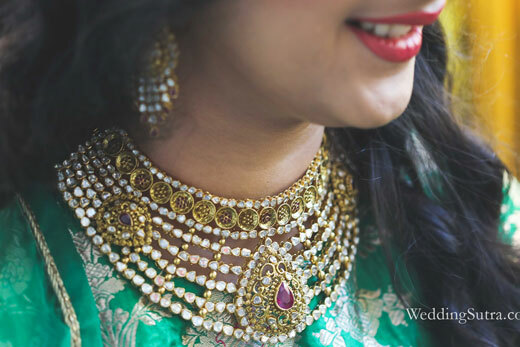 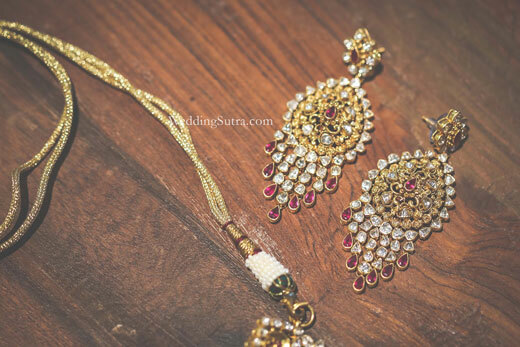 A diamond polki studded choker with pear shaped motif in vibrant pink stones and matching earrings dangling off her ears, the bride was an epitome of bridal beauty. 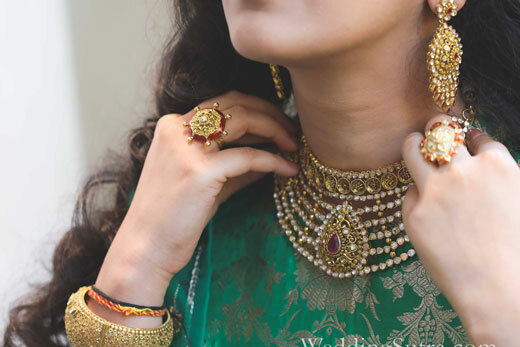 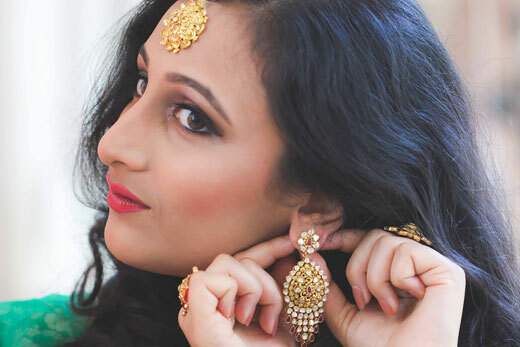 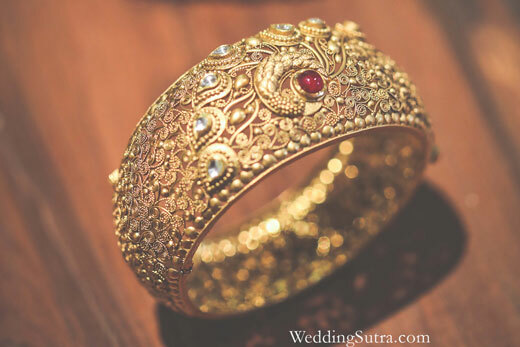 Modern drape, subtle style and curls created a look that was versatile and complemented the modern design of Azva jewellery creating style goals for the millennial bride.